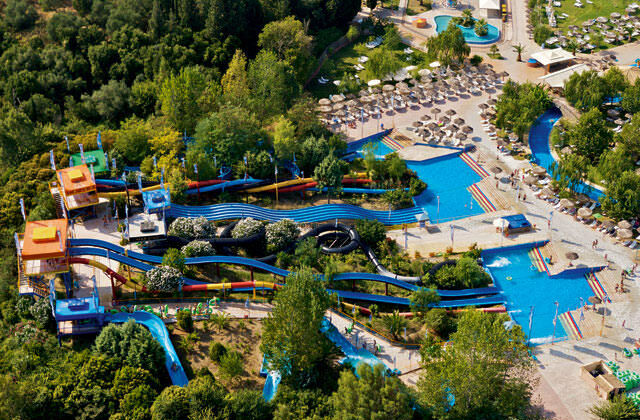 This tour promises an unforgetable experience in one of the biggest waterparks of Europe. The park has a Children's area (from 4 - 8 years old) with water games located in big swimming pools with depth of only 40 cm makes them safe. Enjoy the Caribbean Pirate with easy water slides, the water showers or the complex of games which has been made to create a Fantasy Island (Screaming Frog, Ramp, Shower Mushroom and Slippery Octopus). On Family area (for 8+ years old) you can just relax on a Deep Pool with Jacuzzi. Maybe ride along with the Lazy River or for the most adventurous ones the Family Rafting and Deep Blue Kayak is the answer. Lots of twisting, turning and splashing fun guaranteed! Areas for fun or just to sunbathe and relax. Under the watchful eye of lifeguards, experience the thrill of the Extreme Area, for the adrenalin seekers only. Choose one of many extreme slides to match your bravery. The Double Twisters, Hydro-tube slides, Hurricane Twist and the Kamikazes. You have tried everything and looking for the real thrill?! The 24m Free Fall & Free Fall Plus is waiting, a real dose of adrenalin is guaranteed. One is for certain, there is something for everyone. Food & drinks are not included, but you can make your choice from a variety of bars and fast-food outlets throughout the Park. There is a small charge for using lockers; however sun-beds are included to the price. 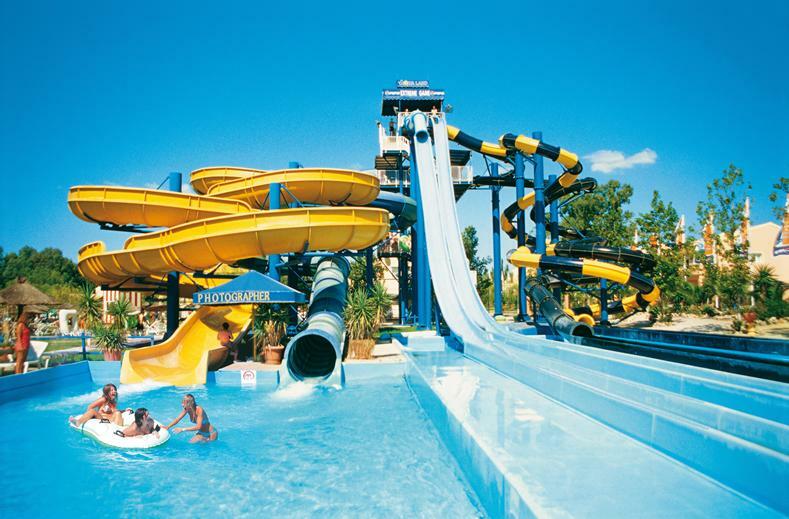 Full Day at Aqualand Park - Full Day: This is a full day tour to Aqualand Park icluded return transfer from your hotel. Entrance Ticket for Aqualand Water Park - Full Day: This tour option does not include transfer. It is only the entrance ticket to Aqualand Park. The park is open daily from 10:00 to 18:00. Entrance Ticket for Aqualand Water Park - After 15:00pm: This tour option does not include transfer. It is only the entrance ticket to Aqualand Park after 15:00pm. The duration of the tour depends is approx. 6 hours depends on your hotel and your pick up time. The return of the park will be at 17:00pm or 17:30pm and will be informed the exact time before drop off the coach. 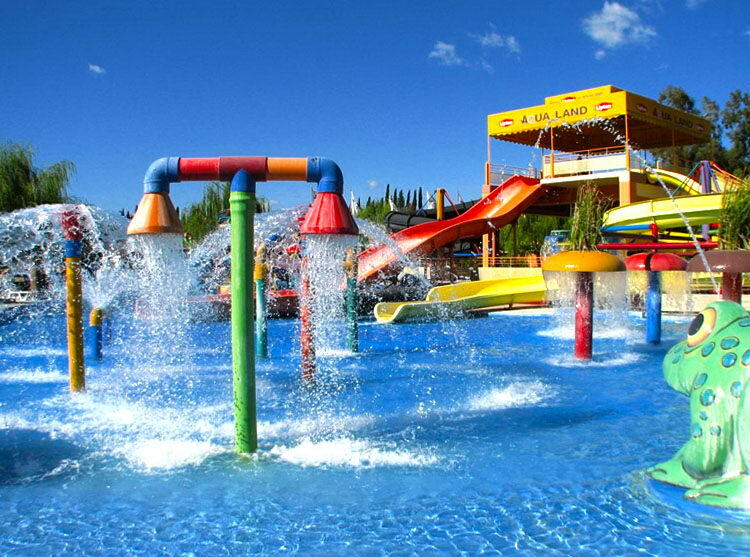 For those who have selected tickets only, the Aqualand Park operates daily from 10:00am until 18:00pm. Once you have booked the tour and informed us about the name of your hotel, you will receive a confirmation email with your ticket voucher as well as the pick up time and the closest pick up point to your hotel. Subject to favorable weather conditions. If canceled due to poor weather, you will be given the option of an alternative tour or full refund.